© 2002-2010, Studios St-Sulpice, Staunton, VA.
". . . at times one believes one hears a genie struggling in the darkness of its tutored chamber, lured in by sorcery, and quivering like a devil submerged in holy water; sometimes, at last, the phrase rises in the air, in the manner of a supernatural and pure being, unraveling its invisible message as it passes." The Genie in the Violin, or, Why It's Not Your Father's "New Age"
It would be an exaggeration to say that the four-season resort community of Basye is all retired diplomats, bureaucrats, intelligence-agency careerists, but it's not far off. Washington DC is close by, and Basye provides many amenities to calm the nerves: nature, golf, tennis, swimming, skiing; an airstrip for small planes; dining; and seclusion. The residents love the place, although the out-of-the-wayness is a double-edged thing: it's great, but it does not help Bryce Resort, the economic mover, commercially. Ideally the resort would do well, but not too well... bring in revenue, but preserve the serenity. And being a vortex center of global reputation was not in the business plan. At least not yet. And that is where our story, and the story of Lake Laura, start. Basye is a welcoming place -- but if it is a haven for New Agers, gnostics, occultists, earth-magnetism mavens, or, heaven forfend, Da Vinci Code fans on the hunt for the DNA of the Magdalen, it has not shown it. The author of this article lived there and prized his privacy. All this "New Age talk" can be disconcerting too, especially if one does not know how to take it. The vortex attracts global consciousness, concepts, and people from all over: in short, it's a disruption as much as a paradigm shift and sometimes when you move things around, you expose ancient trails. Some say the "New Age," which was really launched by the 60s counterculture revolution, is way past its prime. Regardless, it seems that "yesterday's science fiction is today's science fact," and also that "yesterday's hallucination is today's quantum physics." The modern world has not assimilated what Einstein had to say -- never mind Niels Bohr, Edwin Schroedinger, Stephen Hawking or now, a new age voice like Deepak Chopra! 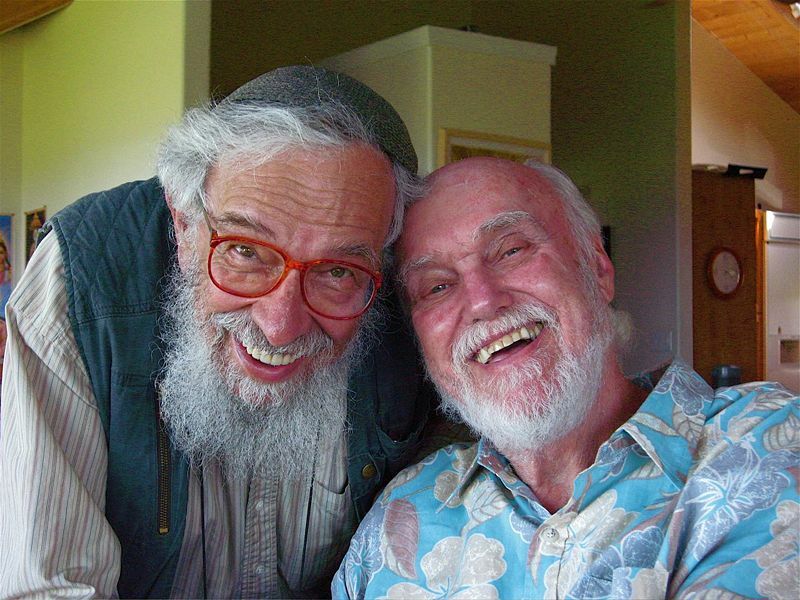 Figures like Katie Byron, Marianne Williamson, Wayne Dyer, Eckhart Tolle and others, on whose shoulders the visible part of self-realization movement rests, at least in the United States, may be on a path of convergence with science. Their beliefs certainly do not oppose it. A couple of decades ago, occultists were derided for mentioning out-of-body experiences; now scientists are producing those in a laboratory in Lausanne, Switzerland. Vortices have claimed a new legitimacy. Descartes' notion that the universe is composed of vortex fields was consigned to the category of quaint philosophical trivia; now his "relative space" is again more modern than Newton's version, and some physicists are exploring the notion that vortex motion is fundamental to matter and energy, down to the quantum level (example, work of Wiktor Lapcik). Scientists like Pete A. Sanders Jr. (author of Scientific Vortex Information, Free Soul Publishing, Sedona AZ), are helping dismiss the pseudoscientific theories of vortexes (it's "magnetism") while directing attention to the phenomenon as instrumental in the development of human consciousness of other dimensions of energy. All of this is meaningful in the context of the lightning rod that Lake Laura has become -- partly because Laura is a mystery without a scientific explanation, but increasingly it seems the explanation is not far off. Basye may be a threshold into planetary energies (or an "interdimensional portal") and to the extent that is true it is bringing a different type of attention to the community and to Lake Laura. You would not necessarily find that out, though, at Bryce Resort or at the Community Store. When your correspondent first asked about the vortex, years ago, he received bewildered looks from some and a knowing glimmer from others. There are no brochures or maps about it at Town Hall -- well, there isn't a Town Hall. The most you can do is to lightly and with the appropriate touch of irony, broach the topic over after-golf drinks at The Lodge bar-restaurant. Note - after the lamentable demise of Coleman's Bistro some years back, The Lodge is the center of community socializing -- and safely on the other side of the resort from Lake Laura with its bewitched waters. However it is closer to the edge of the vortex up on the ridge beyond, by Lee Drive, near where there was a tragic airplane crash a few years back. To continue Proust's metaphor: the genie is in the violin, and the vortex music is audible. People are talking. A video on YouTube about looking for the vortex (with uncertain conclusion, it must be said), appeared not long ago. There's a temptation to add, "and the devil's in the holy water," but then someone would cry out, "See? devil worship!" 1"On lève les yeux, on ne voit que les étuis, précieux comme des boîtes chinoises, mais, par moment, on est encore trompé par l’appel décevant de la sirène; parfois aussi on croit entendre un génie captif qui se débat au fond de la docte boîte, ensorcelée et frémissante, comme un diable dans un bénitier; parfois enfin, c’est, dans l’air, comme un être surnaturel et pur qui passe en déroulant son message invisible." The evolution of Lake Laura bears a bigger role in this than people realize, so a bit of history is in order. Basye's resort career started before it had a name, as the result of a visit in 1909 to Orkney Springs by one William Bryce, who "came, saw and got smitten." Perhaps it was because he sensed vortex energy -- but we don't know that. Lake Laura did not exist back then (there was the wavering stretch of Big Stony Creek in a small valley, later flooded to make the lake). Even without sacred waters there is a hard-to-define sense of remembrance, a musical quality, about the entire Shenandoah Valley -- a feeling mentioned by many. So Proust's violin is not out of place in the conversation. We don't know what tremulous genie quivered in Basye, or what energy vibrated in the waters of Orkney Springs, but a community formed, based on the original families of the area, including (in addition to Basyes) the Barbs, Dellingers, Funkhousers and others. Whatever the reason for the seduction of William Bryce, it all seems part of the plan. A half-century later, grandson Pete founded the "four-season resort" that bears the family name. Basye itself was named after the family of William Bryce's wife, Martha -- and there begins an interesting part of the story, because the name "Basyé," generally agreed to be of French background, is also a French word, and it affirms what people believe to be the purpose of vortex energy in general: "basyé" means "threshold," "sill," or "portal." Please see our comments, further down on this page, on the "Basye as a Family Name" and "Geneology of a Vortex," also reproduced with more development on the "Basye Genome" page. Today, contemporary "Basye-Bryce Mountain" (as it appears in census reports), together with its sister Orkney Springs, is on the global map of what are referred to as psychic energy centers, or spiritual vortexes. And the open secret within this, is the largest baptismal stoup in North America, Lake Laura. If you were to ask, "when did this happen? -- when was the spiritual vortex first noticed?" we would have to say, we don't know. We do know that in people were talking about the energy of Orkney Springs back in 1995, when we first encountered it; and Lake Laura itself was created only in 1971. Technically, Laura is what the State of Virginia calls "an impoundment" of Big Stony Creek -- in other words it is artificial, although it doesn't feel that way. It feels natural because aside from the berm at its north end, it occupies an organic crescent shaped by the hills around it -- so it is an expansion of the creek. The other theory explaining why it feels so natural is that when it was decided to create the lake, it was in fact "meant to be," and Bryce and others involved in birthing the idea were only completing an intent that God generously left for humans to accomplish. This was done in 1971 by means of a dam at its northern end, and it has been re-dredged at least once since then . Virginia's Department of Game and Inland Fisheries is involved in managing Laura as a fishery. What the vortex energy was like in the little valley before the waters rose to present the unruffled looking-glass the basin is today -- whether it felt more powerful then, or less -- no one can say, but someone may argue, in explanation of the feeling of Lake Laura, that its surface amplifies energy because it collects the waters of Orkney Springs, which are themselves enchanted. Theories abound about Laura and its effects. We are not aware how or after whom Lake Laura was named -- but would like to know, because it seems that in the area, names and their meanings often have extraordinary ramifications. 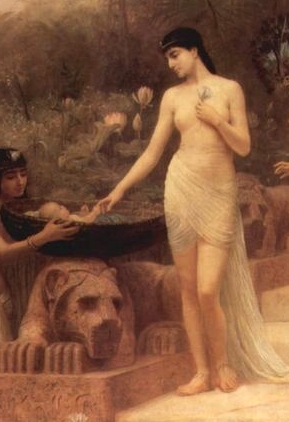 "Basye," for instance, other than being a French Huguenot (protestant) name, is also of Hebrew derivation and of Biblical significance, and directly refers to a relationship between flowing water and discovery of divine presence: it is the name of the Egyptian princess who discovered Moses floating down the Nile in his reed basket. For more on this, i.e. information on the occurrence of the name Basye in the Old Testament, see the comments further down on this page. Lake Laura is thus the main basin of the waters of its neighboring village, the area around it, and of a network of surface and possibly subterranean sources. 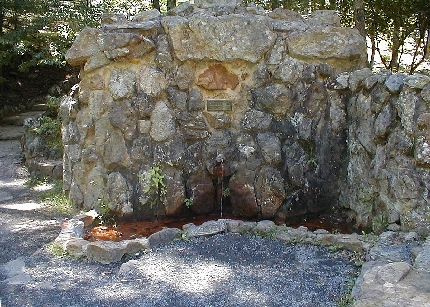 It is physically connected via Big Stony Creek and other waterways with Orkney Springs which, a century ago, was famous for its healthful, "restorative" waters and its seven or eight unique springs. The underlying karst terrane of the region, which is not really mapped out, makes it probable that subterranean streams, possibly the ones which fed the springs of Orkney Springs, are also "talking to" the surface streams that flow into Laura. 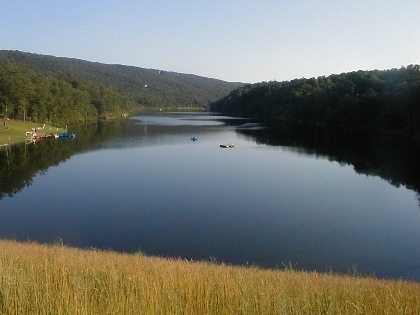 The lake is situated on the eastern edge of a triangle formed by the three major creeks of Basye: the creek from Bear Wallow in Orkney Springs; Saltpeter Run; and Big Stony Creek*. Where around Laura are vortex energies most strongly present? Along the western edge of Laura there are a number of "folds" or coves created by changes in elevation of the surrounding topography. Higher on the slopes, a road tracing these folds, Ashe Drive, makes repeated loops away from the lake and back toward it, providing an imprecise boundary for the Ashe and Red Serpent vortices, which can be accessed the walking path that goes around the entire lake. On the opposing shore, very near the southern end, there is another psychic vortex, the Horseshoe. We suggest reading the FAQ if you are thinking of visiting Lake Laura. Basye, VA derived its name from the Basyes who settled, in the 19th C.. if not earlier, in what is today the Basye-Bryce Mountain region. As a surname of relatively recent history (in this frame of reference, anything post-16th C. is recent) there is no question that the American Basyes are of Huguenot (i.e., French Protestant or French Calvinist) origin -- even though their immediate port of departure for America might have been England or other European country. In the Bryce area the Basye family roots go back at least to the early 19th C., as a small cemetery near Basye attests (for photos of the gravestones, see Terry Basye's website); their ancestors were in the U.S., as Otto Basye's work documents, in the 17th C.
For instance there is a suggestion that the Basyes came to France during the early Renaissance period (or late Middle Ages) not from the North, but from Spain. Otto Basye does not refute this directly, by the way, but he sidesteps the question because other than one or two references in written materials, he does not have evidence of it. 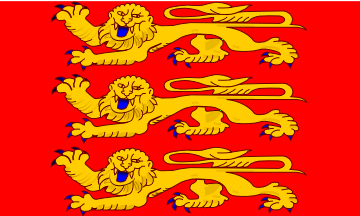 If he prefers a Northern version of migration to France, it is because his oldest data points for the Basye family name in public records take us to England in the 11th C., the time of William the Norman. The Huguenots, Basyes among them no doubt, were persecuted by the Roman Catholic monarchy of France and fled abroad in steady numbers ("like the passing of sands through an hour glass," writes O.B.) in the sixteenth, seventeenth and eighteenth centuries, all the way up to the French Revolution. 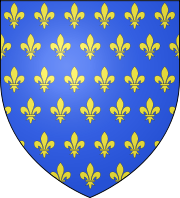 The French-language Wikipedia website says that 300,000 Huguenots left France after the "dragonnades" (Louis the XIV's repressive attacks against protestants, which started in 1681) and the revocation of the Edict of Nantes in 1685. The latter had been enacted in 1598 by King Henry IV, a quasi-protestant whose law had somewhat protected protestants for almost a century. Huguenots referred to the period between the revocation of the Edict of Nantes and the start of the French Revolution, as "the Desert." When Huguenots came to America, it was often the second stage of emigration, by way of England, or from Holland. The origins of the name Basye, the debate over the origins of the term "huguenot," and the dynamics of the struggle between the French Roman Catholics and Protestants are relevant to the Basye vortex because, first of all, they underline that in addition to German influences in the Shenandoah Valley and in the Basye area, which deserve study in themselves, there is a French component to the very beginnings of the Basye community -- a vitally important one. More than that, these things say something quite specific and not fully understood about that French component. 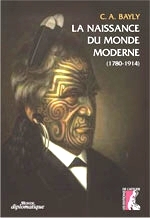 They support the perception that a relationship between Basye's psychic energy and certain French sources in Île de France (i.e., Paris) and elsewhere, is not merely fanciful construction by New Age intellectuals and "pop mystics," but that it has a solid basis in history and even genealogy. By "pop mystics" we should specifically include fans of the controversial The Da Vinci Code, whose intellectual content, it needs be said -- clever as the construction of a fictional plot was around it -- was largely plagiarized from Holy Blood, Holy Grail by Baigent and Leigh (London, 1982). Possibly one day, some day, one or more of the [Basye] lineage shall rise in the firmament of thought and action to be a star of the first magnitude, and then there will be a hustling to analyze the genealogical blood. It will not then be asked, "Is not this the carpenter's son," but whose son is he? With reference to French aristocracy and the Huguenots it will quickly be pointed out by anyone who understands history, that those who are oppressed are not made nobles, and those who are noble and sympathetic to reformation are not going to endanger their status by an outer show of support. Nevertheless -- it was a permeable partition. King Henry IV, "Henry the Good," was baptised Roman Catholic but raised as a protestant. He was the king who signed the Edict of Nantes, granting protestants equality, into law, but in order to become king he had to accept conversion to Catholicism. Of course this is not merely about "Huguenots" because although it lasted two and a half centuries, the conflict between the Huguenots and the Catholics pales by comparison to the longer standing presence of anti-papal sentiment and reformist Christian thought in general. 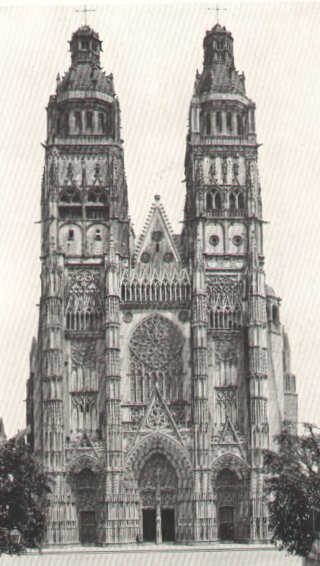 The roots of reformation are often assigned to the availability of the Bible in local or vernacular languages starting in the late 13th C. But before then, the Cathars (12th C.) and the Waldensians (12th C.) had already set in motion currents of thought which were incompatible with the practices of Rome. The Cathars moreover brought mystical and pietistic influences from Byzantium and other eastern sources. All of this broke through dramatically in the sixteenth century as a religious war. The reformist Christianity of John Calvin and Martin Luther stoked the flames, but they didn't start the fire, which had deep and distant sources in mystical practices which could not be recognized in the reformist doctrines of the French 16th C. The fire had been smoldering a long time. The Reformation brought kindling, and the right breeze of air, to make the smoldering fire leap. 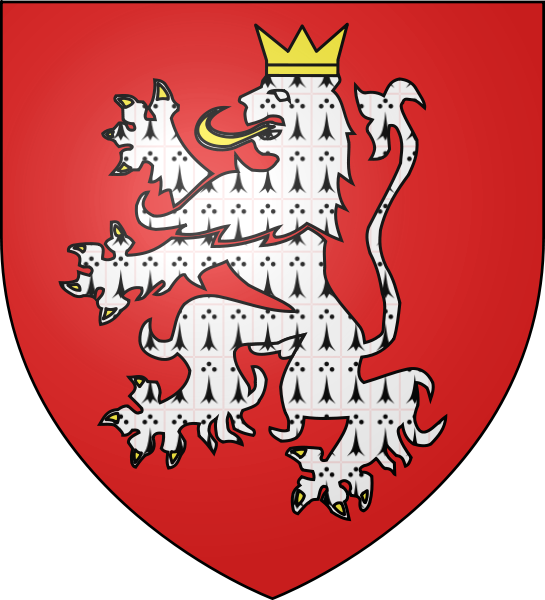 In fact, some partisans of the dispute over the origins of the "Huguenot" designation would see in it a way of honoring or invoking Hugues Capet (or "Hugh Capet"), first of the Capetian kings of France, who had his own conflicts with Rome back in the 10th C. Hugues was a direct descendant of Charlemagne on both sides of his family. In other words, the thread we find with the Basye family, goes back from the Shenandoah Valley to the French Reformation, and the pre-Huguenot thread we find there goes back to the era before reformation had a name, to the 12th century, and before that, to the era of Hugues Capet. We are now talking about the secret behind genetics and genealogies, that is, the field of the emergence of species and our taxonomies, which is phylogeny. What is the connection between actual DNA as it evolves, and events that happen to the establish attributes and abilities that get coded therein? Phylogenetics is concerned with the development of specific traits in a species -- or a family. Hugues Capet's genealogy goes directly to Charlemagne (he was a direct descendant on both sides of his family); but psychologically / spiritually, in terms of transmitted / inherited thought forms -- indeed, "the geneaology of a vortex" -- it can be argued, the reformation spirit goes to the simple, direct perception of the gnostics who walked with Christ, and whose reports are to be found in the Nag Hammadi texts. What is gnosticism at core? it is the unmediated perception of the divine -- and once it enters the political sphere, it naturally undermines the sacerdotal orders. The behavioral expression of gnostic consciousness is piety, and its natural language is symbolism. Where the Basye lineage fits within a Huguenot and pre-Huguenot past remains an intriguing question -- but... let's not get ahead of ourselves. Suffice it to note that clearly, to Huguenot émigrés in general, new world destinations were sanctuaries and, knowingly or unknowingly, they brought to the New World the "meme," the thought-form, which over many centuries had evolved into the tenets of protestantism. That meme had a moral and a spiritual component in the present, as well as a pious and noble past. It is not only Orkney Springs that was a place of refuge -- Basye was that from its beginnings. This is a story with more than one secret, and it appears that what it all means is just unfolding via consciousness of the Basye-Orkney psychic energy vortex. By the way -- it may seem over-reaching to concern ourselves with names, etymologies and history to this extent, but in taking seriously the reports of vortex energies we are in effect borrowing an "occultist's hat," and in most occult or mystical ways of interpreting reality, the provenance and history of a name are relevant to the psychic energies and "thought forms" the name projects. Hence the energies that encompassed the Basye and Orkney Springs area in the seventeenth and eighteenth centuries, and before for that matter, are very connected to language, culture and consciousness. 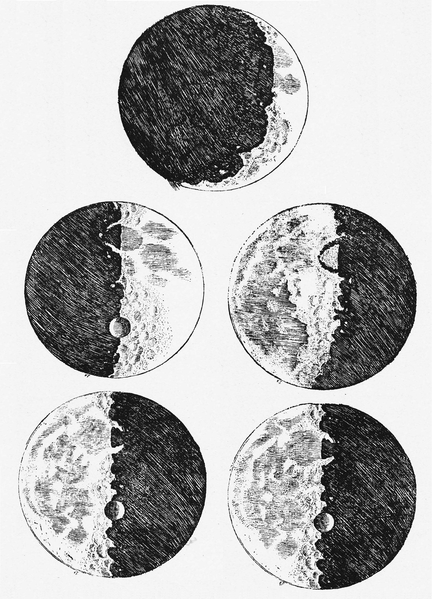 Most people believe that the Basye vortexes are both psychic and natural energies, and did not begin with the arrival of the European settlers in any case. But culture matters, be those thoughts indigenous or imported. Basye, as a Norman-French proper name, was most likely spelled with an acute accent over the final letter: "Basyé." It comes from a French word, "basyé," meaning "threshold." The word is rare and not found in the standard dictionaries, but it is listed, for instance, in Atlas Linguistique de la France (Linguistic Atlas of France, 1912), which maps the geographical distribution of less common usages. (Click to view the relevant page of the Atlas -- and give it a moment to load -- it uses the Internet Archive Reader. "Basyé" is on page 45, the column on the right.) Basyé is another word for the French seuil, meaning threshold, door-sill, or portal, and it is not pronounced (with or without the accent) "bas-SAY," as Otto Basye mistakenly suggests (see below), but with separation between the "y" and the "é": "bah-zee-ay." Were it to be spelled without the accent aigu, it would most naturally be pronounced "bah-zee." The Basye Family in the United States (by Otto Basye, 1950), the key resource for genealogical lineage of the Basyes in the New World, traces the name Basye to its Latin and French root, meaning "low" or "foundation." The work relates the family name to the Latin word basis (foundation, pedestal) and to the French word for "low" (bas, basse). Those conclusions are in error, but it is easy to see how the Otto Basye would have been led into thinking along those lines. He would not have been aware of the word "basyé," because it is not in the regular dictionary; nor did he have the Internet to speed reseach along. He no doubt asked purported authorities, who did not know either. He found the Latin basis and the French word bas as the template from which basye might have come. Sounds feasible. But no one who speaks French would look at the name Basye and pronounce it "bas-say." The single "s" in the middle of the word would normally take on a "z" sound, not a soft double-s, and you have the "y" to deal with. A word that was pronounced "bas-SAY" would be written out "bassé," "bassay" or perhaps "basset" (not to confuse matters with the English Basyes and the related last name "Basset"). This subject deserves to be considered further because there are ramifications to meaning and pronunciation that can lead research into directions that otherwise might have been passed over. We will follow up on these themes elsewhere on this site. For now, let it be noted that "threshold," which is the symbolical meaning of the Basye vortex -- and, some people say, of energy vortexes in general -- just happens to be the linguistic derivation of the family name Basye too. Call it a coincidence. However, all apart from the foregoing and the French language, there is also another derivation or version of the name Basye: it is from Hebrew and the Old Testament -- a long mental leap if one is looking for the name in Normandy, or for genealogy that originated in the North. But in our opinion it deserves at least to be mentioned. The role of water in the vortices or Basye and Orkney Springs, which we allude to at length on this website, is central, and not just because of Lake Laura. There are also the springs of Orkney Springs, and the connection between the two places. Water has been the source of the mystical, healing energies of the area since the beginning. We find this fascinating, especially in view of the association of the name Basye with the Hebrew root, "bas-," or "bat-," or "bath-," meaning "daughter" (such as in, "bas mitzvah" or "bat mitzvah" - the initiation ceremony of Jewish girls to mark age 12). The endings "-ye" or "-ya" are interchangeable, and mean "God". Therefore "Bas-ye," "Bas-ya," "Bat-ya," "Bath-ya," and for that matter "Bitya," "Bith-iah" (see below) are all variants of the same name and all have the same meaning -- daughter of God. Basye is one of the less common forms of this word, but it is a cognate of Batya and is so recognized. The spelling can be misleading. If you type "Batya" into the Wikipedia search box, it returns the article on "Bithiah," which also defines the name as meaning "daughter of God." They are further all related to BasShevah ("Bathsheba"), which is also similarly defined. 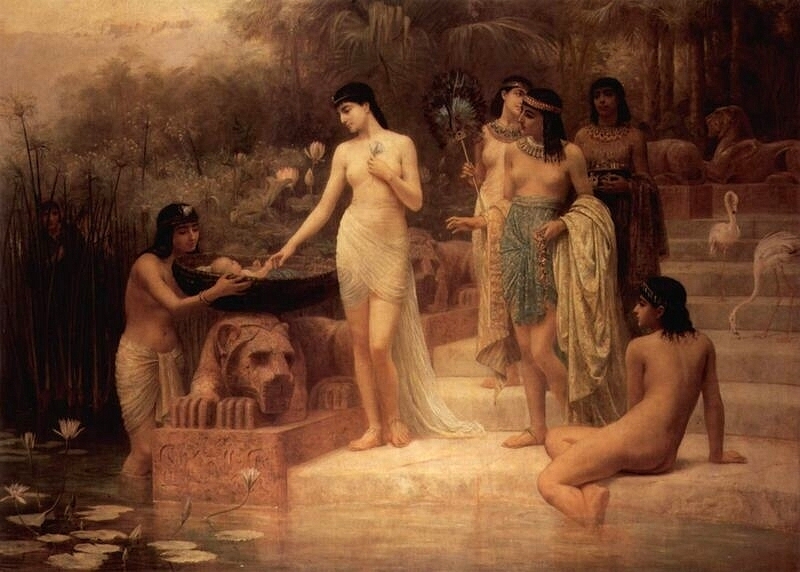 17 And Bathia, the daughter of Pharaoh, went also to bathe in the river, owing to the consuming heat, and her maidens walked at the river side, and all the women of Egypt as well. 18 And Bathia lifted up her eyes to the river, and she saw the ark upon the water, and sent her maid to fetch it. 19 And she opened it and saw the child, and behold the babe wept, and she had compassion on him, and she said, This is one of the Hebrew children. Since the Sefer haYashar, one of the "lost books of the Old Testament," is disputed (see the NOTE just below), it should be pointed out that the princess Batya is also named in 1 Chronicles 4:18, and in a Midrash (Jewish Biblical commentary), where she is identified as the same one who spotted Moses drifting down the Nile. The Jewish Encyclopedia: "The name is explained as follows: God said to her, "You have called Moses your son, although he was not your son, therefore I will call you my daughter ["Bithiah" = "bat," daughter; "Yah," God], although you are not my daughter" (Lev. R. i. 3; Meg. 13a; and elsewhere)." (NOTE: "The lost books of the Old Testament" are books to which there is a reference made in the Bible, but of which we do not have the actual texts. While the Sefer haYashar texts we do have, are considered to be pseudoepigrapha -- falsely attributed to be the lost book -- the other references also support the name Bathia or Batya). The name "Moshe" (Hebrew version of Moses) is, in one common derivation, from mashah, "to draw out" -- i.e., Moshe was that which was drawn out of the water ("and she called his name Moses, for she said, Because I drew him out of the water." -- Book of Jasher 68:24). 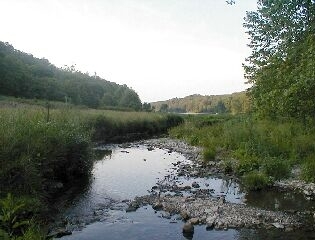 * NOTE: the major stream feeding Lake Laura is also known as "Stoney" Creek -- depending on which map you look at. We have no preference and the spelling on this web site may be inconsistent, as is the spelling of "vortices" vs. "vortexes." ** The editors of the Basye Vortex site and Studios Saint-Sulpice support GNU and the Free Software Foundation (FSF). ***Histoire de l'estat de France, tant de la republique que de la religion, sous le regne de François II.